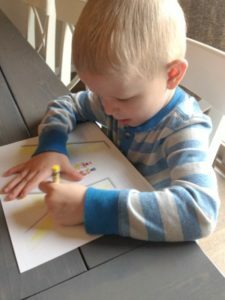 Teach your children (toddlers, preschoolers, elementary age and middle school!) 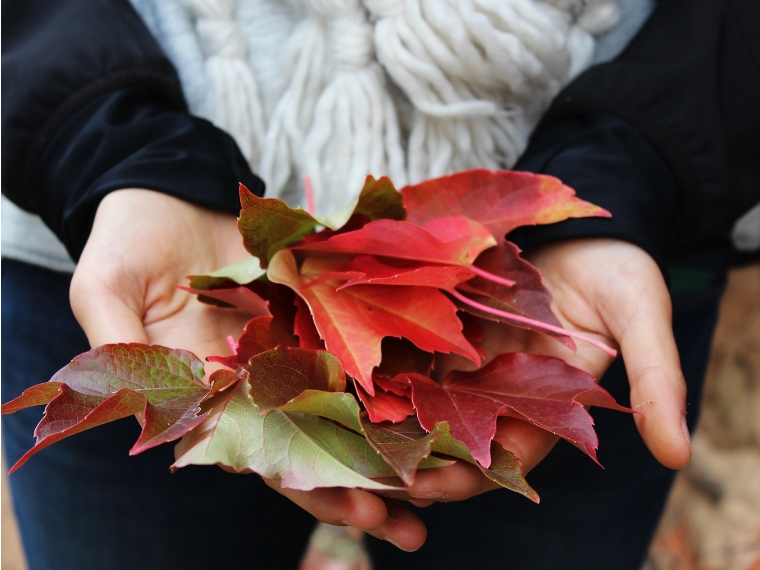 the Word and truths of God using these five simple and effective ideas! As a small child, I lived in a house at the top of a hill in the country, outside a tiny rural town in North Dakota. I have so many fun photos and memories to remind me of those carefree days! But living on a hill meant that we had to drive slowly up a quarter-mile long gravel driveway to get to our house, not always easy in a state known for its blustery winters and wet springs. During the spring, the heavy farm machinery that my dad owned pressed the gravel down on the sides of the road, creating a rather large rut. 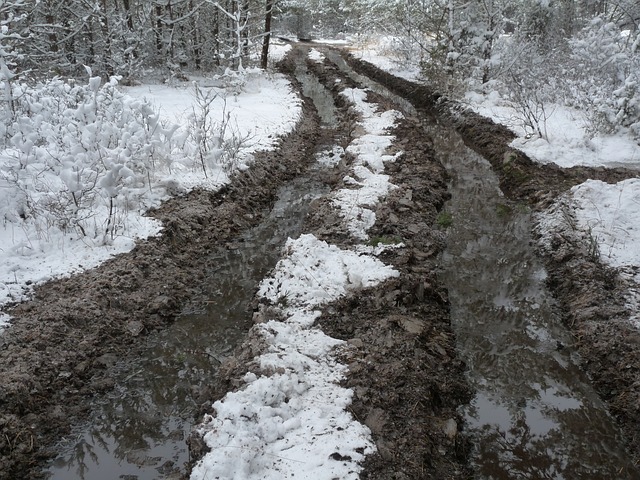 When my mom would try to get the car to go up the steep driveway, she would often get stuck in the muddy ruts, the wheels spinning as she attempted to make it to the top. Over the past few months, I’ve been feeling the same way about our family’s devotional life as my mom did about the driveway ruts. Frustrated, stuck and going nowhere. 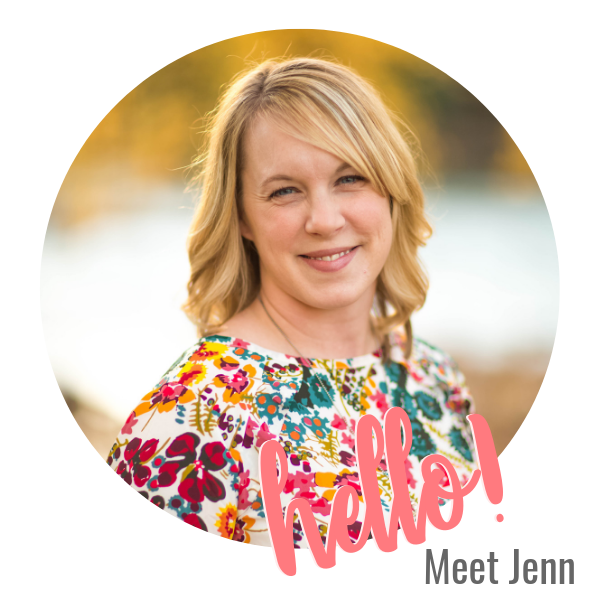 As our family has grown, our schedules and needs have rapidly changed. Our children are at different levels of spiritual understanding. And with four busy children, it is getting harder to find consistency in our daily routines and yes, even our time spent in God’s Word. 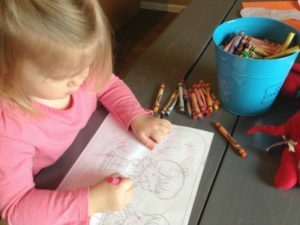 While we strive to have a purposeful time for devotions with our kids each day (read about the easiest way we’ve found to do devotions with young children), we did want to try and incorporate more of God’s Word into the flow of our daily life. So I brainstormed and researched and came up with some very easy ideas for sort-of “infusing” our day with Scripture. 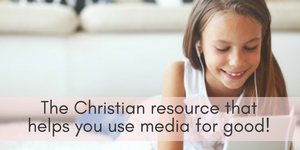 I realize how much we are surrounded by media at every turn and though we are very particular about how often our kids are “plugged in”, I figure we should use media for good by combining it with more “traditional” Bible study methods! 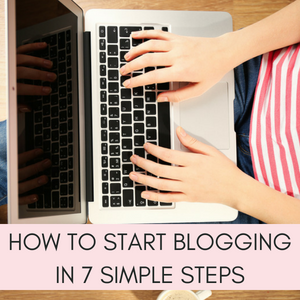 These ideas are ones we’ve been trying for the past few months and it has been successful and mixes things up, which is great! It’s good to have a few different options because not every day is the same and you may have more time some days than others. 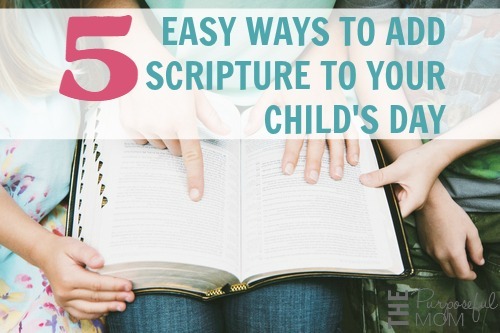 Here are five simple ways to add Scripture to your child’s day so that our families can benefit from hiding God’s Word in their hearts at any time. 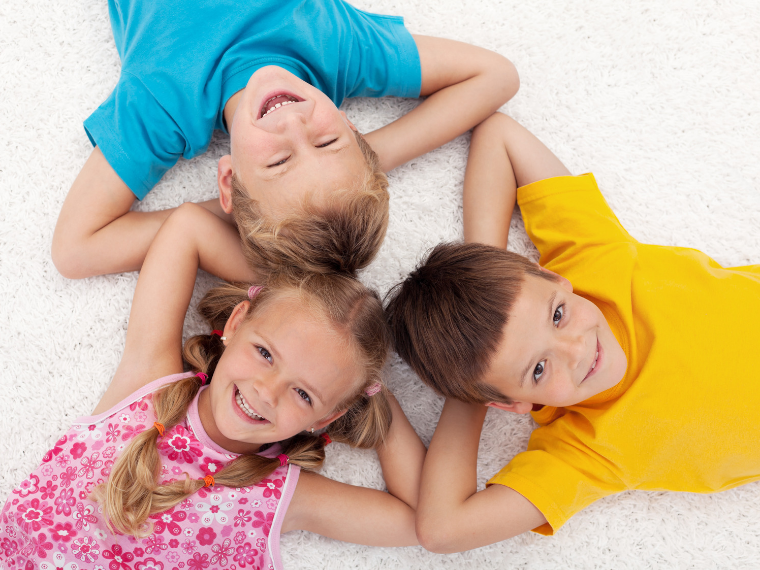 Try one of these ideas and see how they fit your family’s needs! 1. Use a Bible app on the go. We love using the YouVersion Bible app (there’s a Bible for Kids YouVersion app that is animated, it’s also free and is in several languages!) and the Olive Tree app (there is a great study of the book of John for kids in this app!). You can do a lot with these apps such as choose your favorite version of the Bible, highlight verses, bookmark favorite passages and find Bible reading plans. 2. 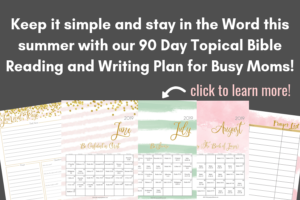 Incorporate a Bible quiz or challenge. My 10 and 7 year old have had fun playing The American Bible Challenge app (based on the TV show) and using Bible quiz flash cards that we’ve picked up over the years. You can find some Bible flashcards that are good for elementary and middle school kids HERE and cute Bible flashcards for little ones HERE! What’s in the Bible has free flashcards as well! 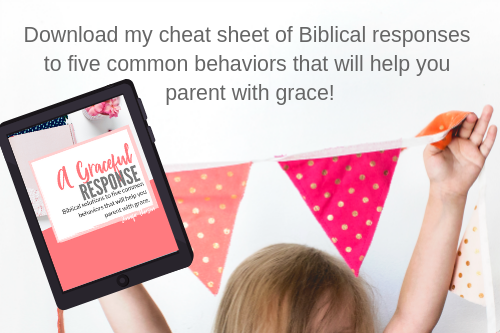 Although this is something we’ve been doing only recently, it’s been good for me to watch my kids learn more about Scripture or ask me questions based on something they’ve read in a devotional or a Bible study as we work through it together. 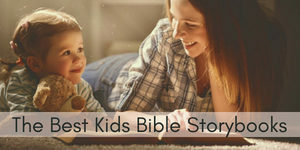 There are a lot of good Bible storybooks that younger kids can look at/read and devotionals for kids as well (our older children like God’s Amazing Creatures and Me and the younger two have enjoyed the One Year Devotions for Preschoolers). We’ve really been enjoying Developing a Quiet Time by Kim Sorgius! 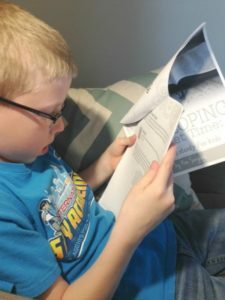 It’s teaching our kids what the Bible says about having devotional time and has helped my older kids form a method (the G.R.O.W. method) for their quiet time. 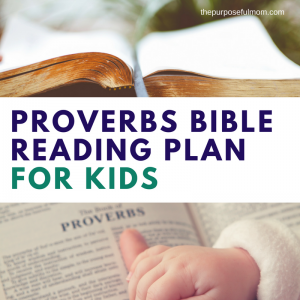 You can find some free Bible reading plans for kids HERE as well as a FREE Proverbs Bible Reading plan for kids that I put together for my own children! 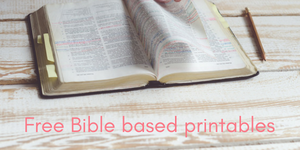 There are also a lot of free Bible verse printables for younger children (who are early readers or who can read them with you) that you can find around the internet! To get you started, download these names of Jesus printable Scripture cards or download these Bible verse printables for your preschooler that will help them learn the Word! A lot of times, it’s easy for me to just grab a Bible storybook and pick a story for the day. 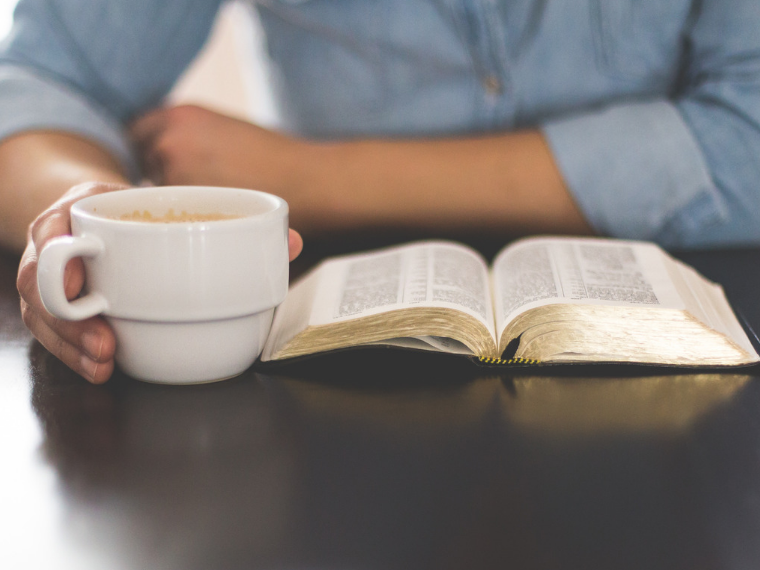 Then it dawned on me–why haven’t we done just a dedicated study on ONE book of the Bible? 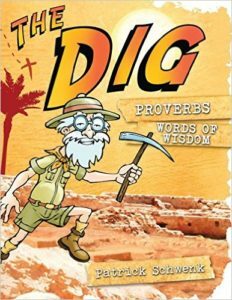 So we used The Dig: Proverbs and the kids loved it! 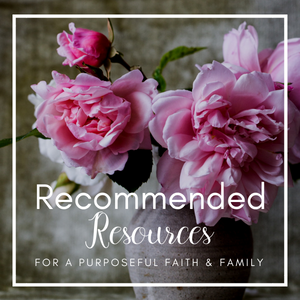 It doesn’t go over every single verse of Proverbs but it has in-depth lessons on important passages of that book as well as additional prompts and ways to dig deeper. 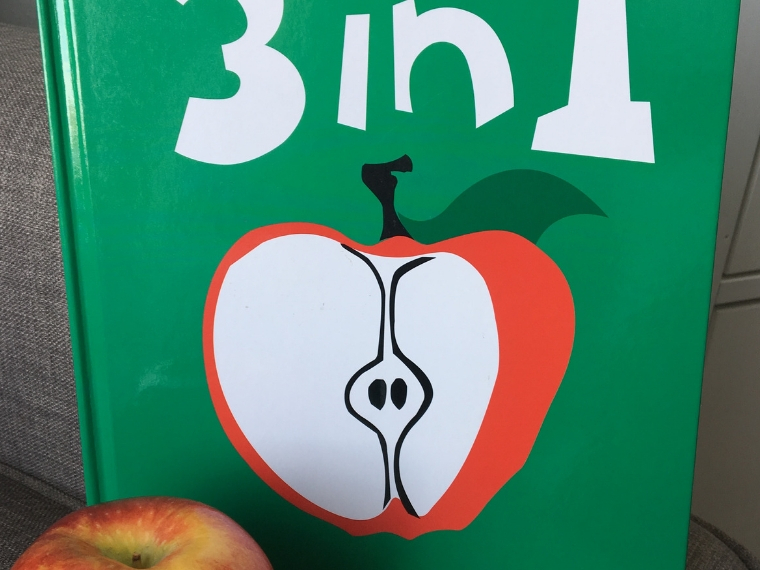 You could also just start by reading straight through a book like John that is straight-forward and understood well by children of all ages, such as the John reading plan from the Olive Tree app I mentioned earlier. We love to learn Scripture by way of music. 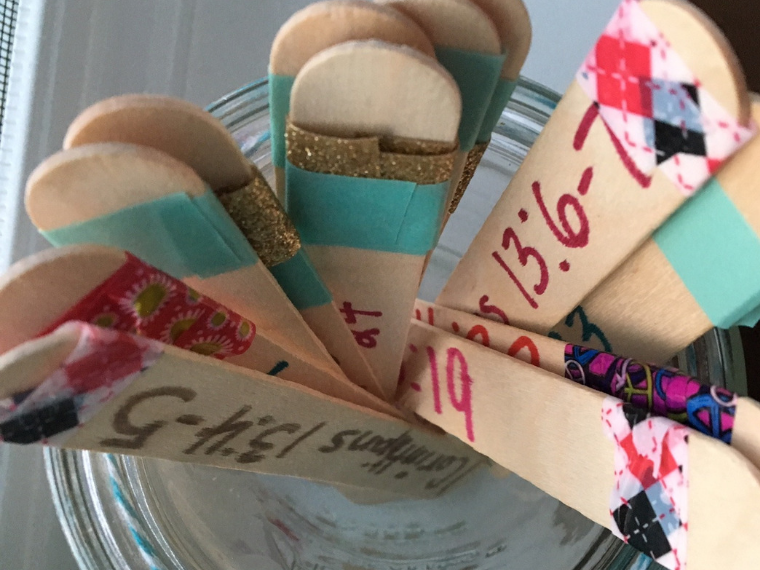 Music is such an effective memory tool! (Probably why songs from my 80s childhood are still stuck in my head!) I’ve shared before about our favorite Scripture songs for kids that won’t drive parents crazy! We also recently discovered JellyTelly (from the creator’s of What’s in the Bible), which is what I consider Christian Netflix for kids :) It’s got some wonderful programming, like What’s in the Bible, Theo, Zach in Time, Gigi, God’s Little Princess, 321 Penguins (anyone else remember this show? ), VeggieTales and other faith-based entertainment for kids, as well as family devotionals and movies for older kids. You can get a free one-week trial by visiting the main JellyTelly website! You can watch it on your iPad or other electronic device as well as a Roku box or similar connected to your TV. 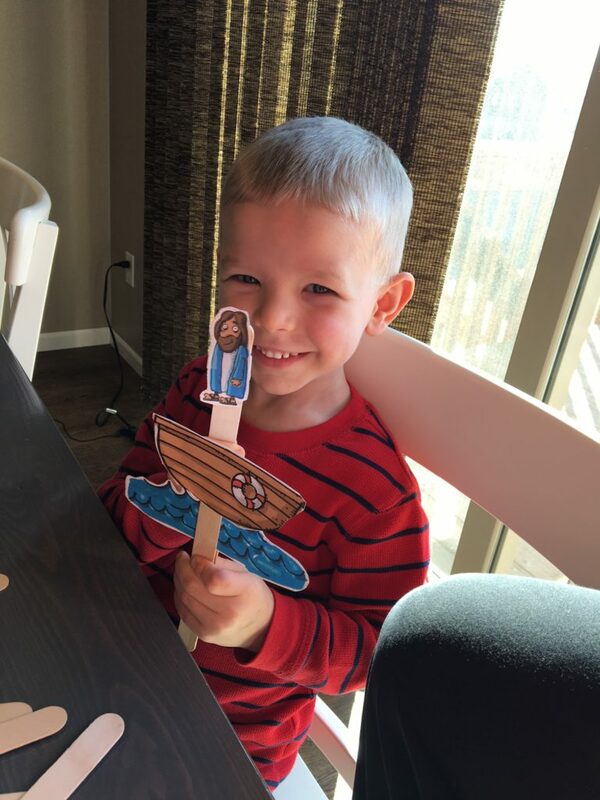 Acting out a Bible story by using printable puppets (see photo of my cute 5 year old and link above!) or your own acting skills! 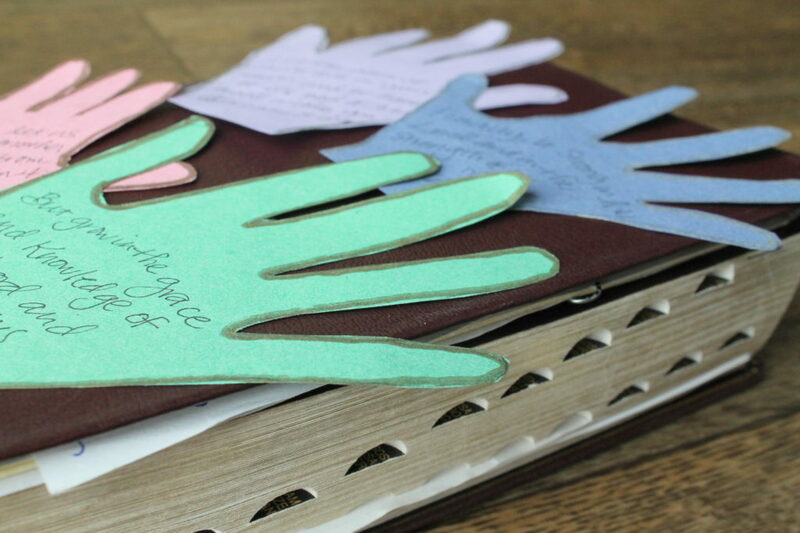 ;) There are lots of fun ways to add Scripture to your child’s day that are simple, effective and most importantly, fun! Enjoy teaching God’s Word to your children! I am excited about the Olive Tree app. What is the study on John called? I tried searching and had trou le finding it. Thank you so much!! This post was a great encouragement! Thank you for all the good info. I am raising my granddaughter who has been diagnosed with learning disabilities and reading is really difficult. I plan to check out these Bible apps to see if I can help her find a love for Bible study .I presently use the you version app. and I have introduced it to my younger two grandchildren who love it. 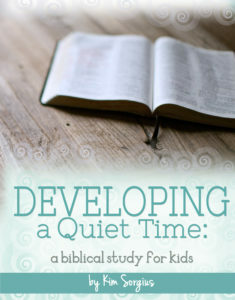 It is nice to hear from others who have good Bible study ideas for kids. Thanks again!